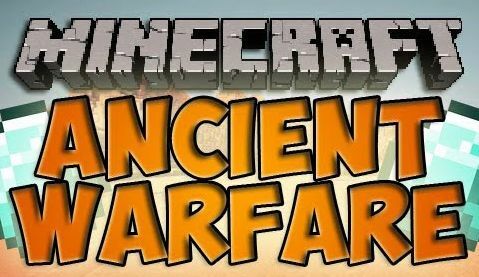 This mod is dedicated to bringing all sorts of ancient-warfare related tools and machinery to the Minecraft world. Forge/FML based mod, for greater mod compatibility. Open source. Source will be available for view/download/contributions. Built in team system for PVP support. Most vehicle/npc/ammunition stats customizable through config files. User driven structure system, add/edit/modify structures to suit your liking. Server-based movement system for reliable and predictable motion handling. Much improved aim system including mouse-look based aim. Much improved aim of NPCs while on vehicles using new trajectory system. Custom path-finding engine to more fully accommodate mod-blocks and ladders. Courier NPC provides an alternative to tube networks for item and inventory manipulation. Researcher NPC available to aid in automating your researching. Bulk storage available through the Warehouse Civic multiblock structure. Template based structure generation for both world-gen and in-game use. Scan in-game structures and export them to a ready-to-use template. User-configurable structure world-gen — add your own templates, or edit the included default ones to suit your own vision. Configurable world-gen site-validation parameters — ensure the buildings fit into the landscape exactly as you want. Supports mod-blocks for any ‘normal’ block types, but does not support rotation. Custom mod-block rotation mapping is being investigated. Reinforced versions of vanilla construction blocks that help protect your fortresses during a siege.